Northern and huge, however, Canada is not a country where the various regions-suburbs and the center are divided. Among lines of communications the road network takes a worthy place – the length of motorways, highways and dirt roads is 1,042 million km, 27.63 thousand km of which are federal roads. 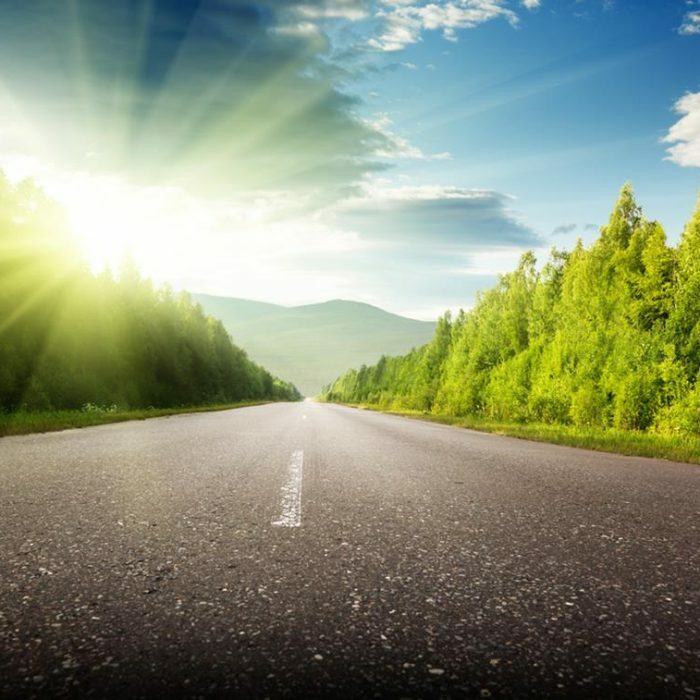 In total, Canada has 415,600 km of paved roads (40%). But 60% of public roads have no pavement, and this is 626,7 thousand km. Let’s try to characterize Canadian roads from the point of view of a person who wants to learn about this state from the car window. On average, asphalt surfacing serves on Canadian roads for almost 18 years, after which it is completely changed. In places with severe winter conditions, there are temporary routes for heavy logging equipment and winter roads. Thus, most of the roads in Canada are located in the south – along the US border, and this is almost 80% of the road network. It turns out that Canadian motorways are concentrated in five provinces – Saskatchewan, Alberta, Quebec, Ontario and British Columbia. The new bridge, which is being built in Canada, should last 75 years, then it will be completely changed. And old bridges will be repaired every 25-40 years, until new ones are built. Canadians don’t save on road maintenance: 400 million dollars are allotted for these purposes annually. 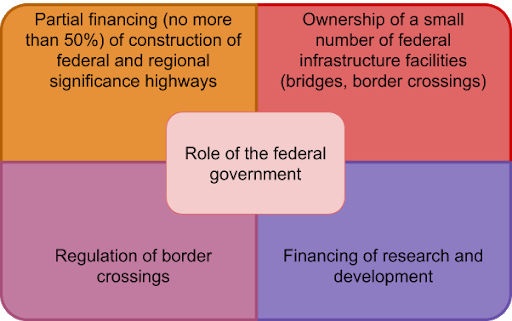 And at the beginning of the 21st century, the Strategic Highway Infrastructure Development Program (SHIP) was implemented, costing Canadian taxpayers $600 million. The very condition of Canadian roads varies greatly depending on the season. After winter, a lot of potholes can come out. But patching is very fast and active. In April-May, roads are often blocked because of the work, townspeople have to check the city administration’s website every morning in order not to run into long detours. During the repair, one lane is blocked, this place is marked by numerous lights and signs. In advance, there is always a crossing guard or a policeman on the way. The crossing guard regulates the passage through the working area, and in theory, insubordination to him entails the same fine as in case of non-compliance with the regulator. The Trans Canada Highway system runs through Canada from St John’s, Newfoundland to Vancouver, British Columbia, its total length is about 7.8 thousand km. The driver, who wants to drive Canada from shore to shore, will have to overcome this distance. This is about 800 km more than the distance from Minsk to Toronto by air. The Trans-Canada Highway changes its number every time it enters another province. Safety on the highways is good enough. The curbs are very wide (both on the left and on the right), and at each edge of the road there is a rumble strip – a strip in the form of a washing board, which makes the car shake. This is done specifically so that the driver understands: the wheels will now come off the pavement. In addition, the strip helps to wake the sleeping motorist. 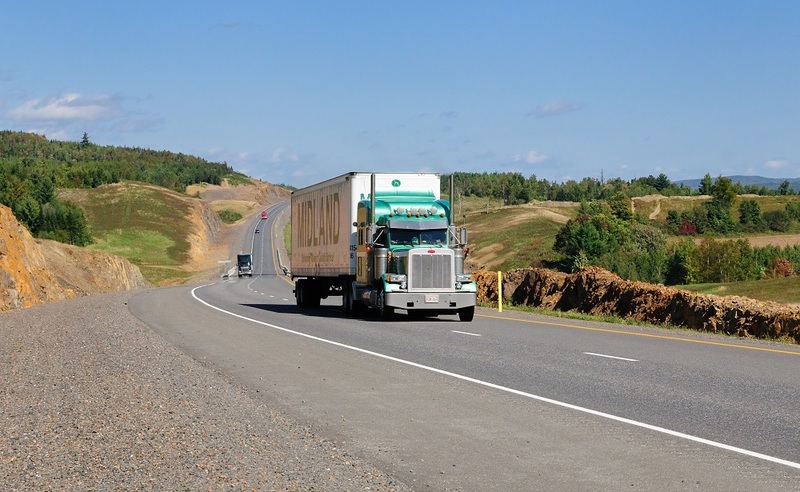 As early as the beginning of 2006, amendments were adopted in Canada toughening safety requirements to the Federal Motor Vehicle Transport Act, which is the main document regulating road transport. The main documents also include the Motor Carrier Safety Fitness Certificate Regulations and the Hours of Service Regulations for long-distance freight and bus traffic. Since January 1, 2007, new rules for the working day duration (the Commercial Vehicle Driver’s Hours of Service Regulations) for intercity freight and bus traffic came into force. In order to reduce traffic accidents, the rules regulate the rest rates for drivers and relate to trucks with a total mass of 4,500 kg and more, as well as buses with a capacity of 10 passengers or more, including the driver. Trucking in Canada is made by For-Hire motor carriers, industrial carriers, individual carriers and courier services. Depending on the type of carriage, operators are in the jurisdiction of provincial (when acting in the territory of one province) or federal (in inter-provincial transportation) authorities. Forwarding companies act as an agent between the customer and the carrier, working in the system, and mainly specialize in particular types of goods (liquids, timber, consumer goods, etc.). They carry out about 45% of trucking, the bulk of which falls on inter-provincial transportation. There are about 10,000 forwarding companies in Canada, the largest of them are from 4 to 12 thousand units of equipment (trucks, trailers and semi-trailers). They own about 80,000 trucks, another 45,000 belong to individual carriers that work with them under an employment contract. As for individual carriers, the owner himself is the truck driver, he takes and processes orders, regardless of the forwarding companies, provides transportation of goods for the sender or the carrier company. In Canada, there are about 36,000 individual carriers. Industrial carriers mainly provide transportation of the company’s products (food manufacturers, etc.). In general, trucks of medium tonnage (with a carrying capacity of not more than 15 tons) are used; they carry out local transportation for small and medium distances. Courier services basically provide with road transport local parcel delivery and/or goods in small volumes. The annual freight turnover of courier services is estimated at $6 billion. The total fleet of trucks doesn’t exceed 2000 units. Courier services mainly use vans and cars. Since Canada has a legitimate alcohol limit of 0.8 ppm, you can drive a little tipsy (but just slightly!). Exception – age to 21 years – young drivers aren’t allowed to drink at the wheel. If the amount of alcohol exceeds 0.8 ppm, a criminal charge is immediately filed. 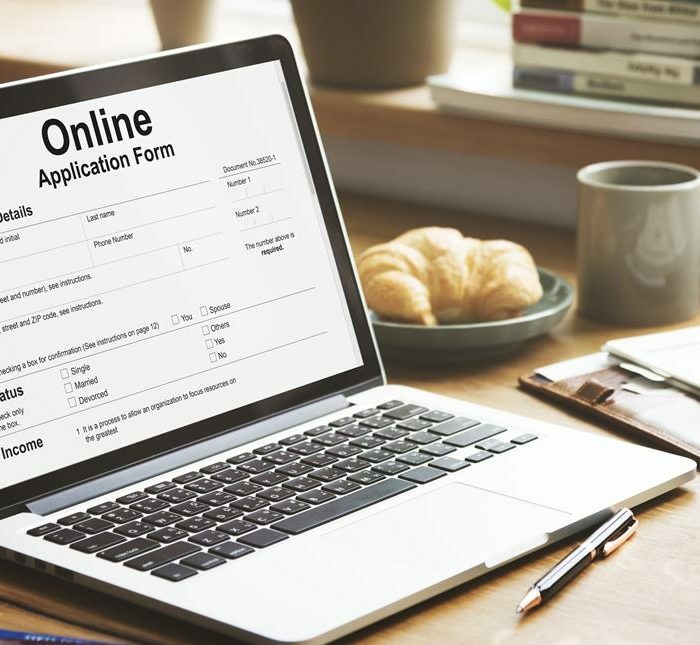 In the province of Ontario, the penalty is up to $1,000 fine, deprivation of license up to two years, as well as mandatory passage of the back on track program. This is an educational program, within which almost a month you’re explained why it isn’t good to drink and drive. After passing this program and returning the driver’s license, the violator will have to drive another year with a special ignition interlock device – a computer with a breathing sensor. Each time to start the engine, you will need to blow into the tube. If the alcohol is detected, the car won’t start. You mustn’t get behind the wheel of other cars, not equipped with an interlock, during this period. There is the Canadian Automotive Association in Canada. It provides such services as “jumpstart” when the battery went dead, changing the wheel, opening the locked door, pulling out stuck vehicle, towing up to a distance of 360 km. You can call for help free of charge four times a year. The annual membership fee is $180-200. This amount covers the costs of the hotel, food and car rental for up to three days, if the association member is stuck on the road due to a breakdown. With an official speed limit of 100 km/h, the police don’t issue fines for exceeding 130 km/h. But the one who sped up above the norm by 50 km/h and more, receives a huge fine ($2-10 thousand) and deprivation of license for up to two years with imprisonment up to six months or without it. 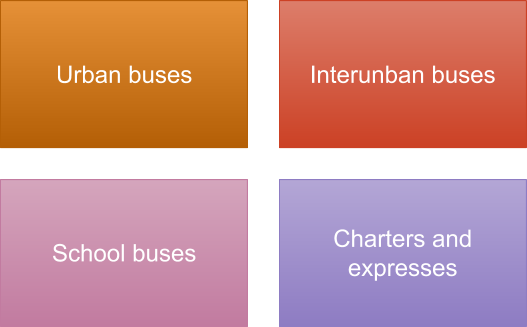 Bus transport in Canada is divided into four types: urban, interurban, school, charters and expresses. The industry of passenger transportations includes more than 1500 companies, annually carrying more than 1.5 billion people. Interurban buses connect almost all Canadian provinces and territories, with the exception of Nunavut, where roads are almost absent due to the geographical location (the main part is the islands of the Canadian Arctic Archipelago). School transport ensures the carriage of students to schools, colleges, universities. Some schools have their own school bus fleet, but most work under an employment contract with specialized companies. Charters, express transportation and tourist services are carried out by specialized companies, private carriers, as well as by other operators (hotels, airports, etc.). Canada is one of the leading countries in the development of roadside service. The roadside service is represented by the centers called OnRoute, that include a pavilion for rest and food, toilets, as well as shop and gas station. Reminders about approaching such a center begin approximately for 20-30 km, and the arrival is clearly marked with a sign. Freight and passenger traffic are sent to different parking lots. Passage by car leads to the entrance to the service center. Inside, there are fast food services, a cashpoint and a bakery stand. Toilets for 20 visitors are at the entrance. Near the sinks, there is a place to change a diaper, a tap with drinking water for pets. Next on the way – a gas station. Next to it is a shop and a self-service station. At such gas stations, gasoline is always more expensive (by 5-7 cents per liter) than on urban ones. Canada is a picturesque country. It has many attractions. However, it is necessary to observe the traffic rules in Canada. And you should start with the registration of documents – the driver’s license. It is better if the latter conforms to the international model. It is quite easy to issue such a driver’s license – it’s done right on our website. 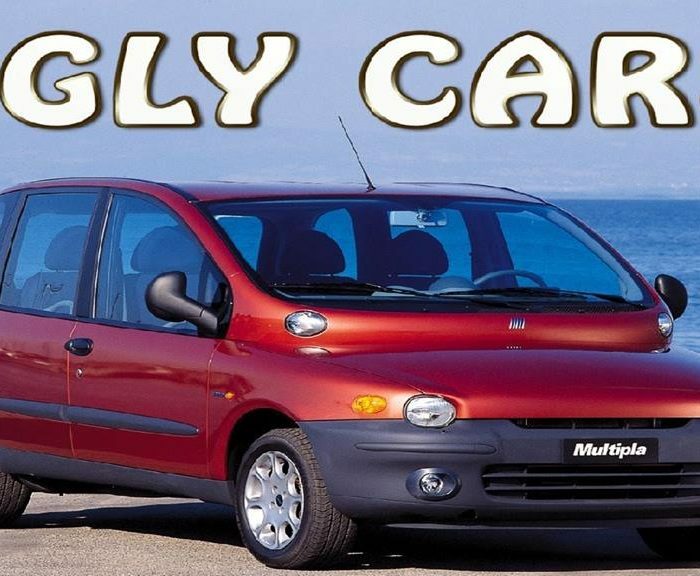 August 31, 2018 The ugliest cars January 15, 2018 Pitfalls of long car trips January 31, 2017 How do you obtain an international driving document?